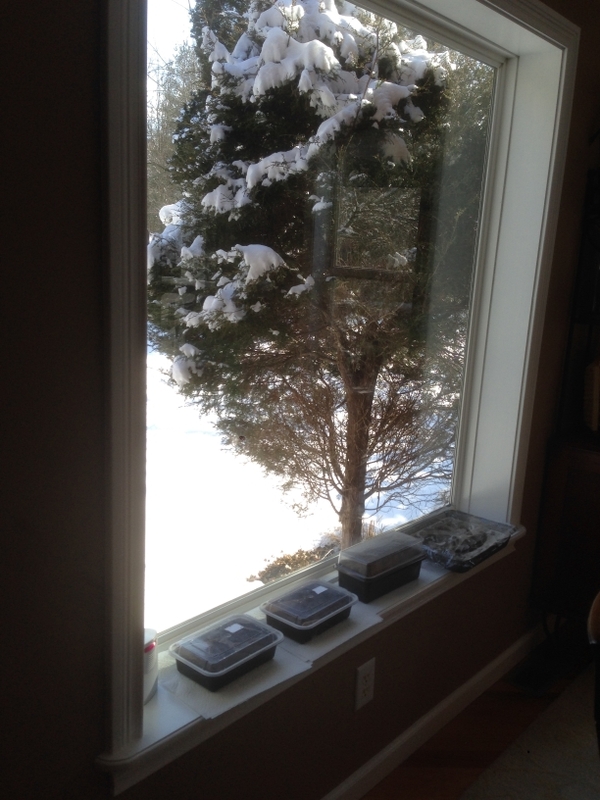 Sowed some of the early vegetable seeds today… tomatoes, peppers, broccoli, along with some herbs. We got 5-6 inches more snow dumped on us last night, and it’s kind of funny to seed the seed trays against a backdrop of snow. Here’s to spring! I am still fairly new to vegetable gardening (3rd season) and still keeping it kind of small. Each year, I try to add one or two new vegetables. And to date, I’ve only done container gardening, which has worked out just fine. It’s nice to go out onto the deck and pick some food. But this year, I’m planning to do a ‘real’ garden…directly in the ground, that is. We are on 4 wooded acres, but there are some spots that are clear enough to get the needed sun. If you are a seasoned gardener and have any tips, please feel free to leave them in the comments. Thank you, and stay warm!! This entry was posted in Blog Update and tagged gardening, gardens, vegetables. Bookmark the permalink.